I have been working through more sources by Keith Polk, and yesterday I added the 3 entries shown below to the Trombone History Timeline (15th century). Sources by Keith Polk and Frank D’Accone dominate the 15th century of the timeline. Both authors are excellent, and I recommend them if you’re interested in the earliest years of the trombone. 1444—Florence, Italy: A scribe, apparently struggling to find a name for a relatively new instrument in the court shawm band, calls the trombone a “tortuous trumpet” (tube tortuose—literally having repeated twists or bends). In another document he terms it a tuba retorta, and finally, a tuba grossa e torta (Polk, Epilogue). 1490—According to historian Keith Polk, “By at least 1490, then, outstanding trombone and cornetto players were performing liturgical music, with singers. Note that these were still probably individual players (sometimes two performers are mentioned). That is, the shawm ensemble was not yet incorporated as a unit into vocal performances. Furthermore, the players mentioned are, in a majority of cases, trombone players. That is, in the early transitional stages, as new practices evolved, trombonists (and trombonists doubling on cornetto) seem to have been the performers most observed and mentioned” (Polk, Schubinger). 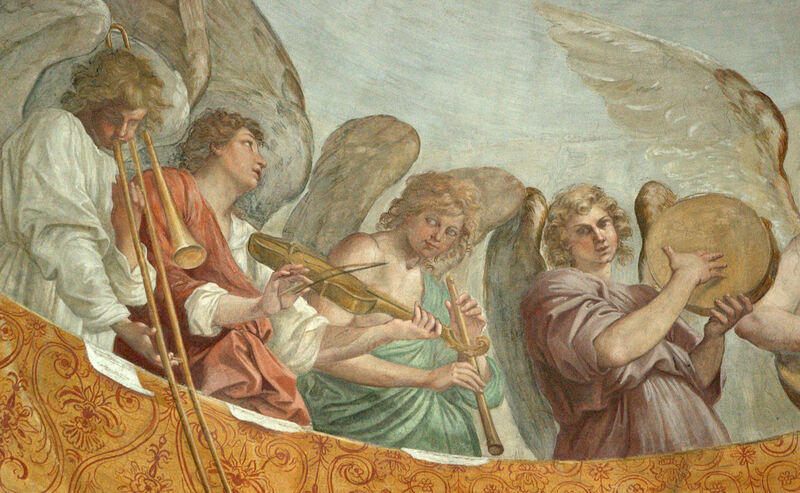 c. 1500—Mantua, Italy: Enrico Tedesco (also known as Ulrich Schubinger the Younger) appears on the court payroll as trombonist (Polk, Schubinger).